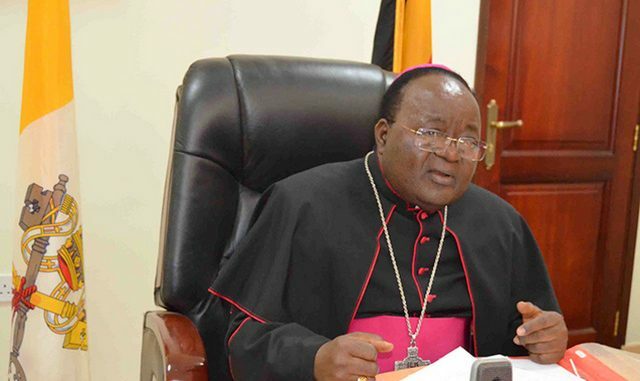 The Archbishop of Kampala Dr Cyprian Kizito Lwanga, who is also the Chairperson of the Uganda Joint Christian Council (UJCC), has urged government to pay more attention to people’s needs especially security in his Easter Message at his Rubaga office. 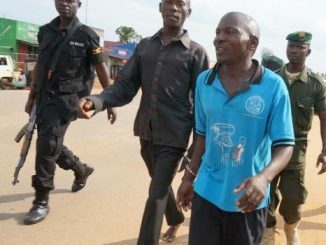 Dr.Lwanga who referred to gruesome killings and abductions, said the level at which innocent children, women and men in towns and villages are being abducted and killed has reached appalling levels. “We condemn in the strongest terms, these unfortunate killings and abductions,” Dr. Lwanga said. He adds that government should provide the necessary resources to strengthen the security of the country especially the criminal investigations arm in order to curb the activities of criminal networks as well as bringing offenders to justice at all levels. He also appealed to Aid organisations to reach out to majority Ugandans who have been heavily affected by climate change and natural disasters, leaving many homeless and without food to survive on. “We urge all Aid organisations to pay more attention to the needy people around the country, refugees, and displaced people who are faced with food insecurity and are struggling to make both ends meet on a daily basis,” Dr Lwanga. Dr Kizito Lwanga has also appealed to Ugandans to fight against all forms of domestic violence and instability. He noted that Christians are today faced with a challenge of building peace, faith, love and hope as well as discipline in their families and communities. Archbishop Dr Lwanga asked government to protect Ugandans against the rampant land grabbing, arguing that families have been made to live in misery. 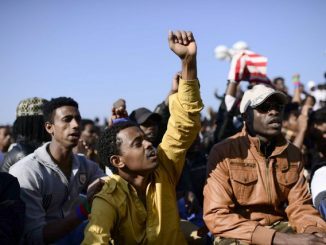 “Families are in distress due to land grabbing and eviction and some are evicted without compensation at all. 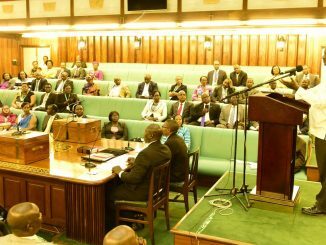 Is this not a systematic and formal theft of our fellow citizens?,” Dr. Lwanga asked. On Friday, March 30, Christians are to have the Ecumenical Way of the Cross to commemorate what Jesus went through on Good Friday, the day was crucified. The processions for Christians in Kampala will begin arriving at Old Kampala Senior Secondary School Sports Ground where a major Ecumenical Service will be held from 11:00am to 2:00pm. According to Dr. Lwanga, the church today is facing an era where people are running away from gospel truths and preaching the gospel of enrichment. He warned Christians to be wary of false prophets and pastors and thus be careful and analytical while in those churches.